Mello Yello is the intimate life story of music industry legend Jack Gibson a/k/a “Jack the Rapper.” Launching the careers of countless superstars, Gibson forged enduring friendships with some of the most illustrious African American personalities of the twentieth century. His long reaching influence began in 1949, when he and J.B. Blayton established the first black-owned radio station in the United States. As an emcee and promoter, he built enduring friendships with the early black royalty of the entertainment world, among them, Sammy Davis, Jr., Billie Holiday, Erroll Garner, Sarah Vaughan, Nat King Cole, Pearl Bailey, Dinah Washington, Nancy Wilson, and Ray Charles. When he was hired by Berry Gordy to head up promotion at a fledgling record company called Motown, Gibson befriended a new crop of stars, including Stevie Wonder, The Supremes, and Smokey Robinson. Moving on to the Revelot label, and then to Stax, Gibson’s uncanny timing once again positioned him to further the careers of Otis Redding, Jackie Wilson, Isaac Hayes, The Staple Singers, Rufus Thomas, Carla Thomas and many others. In addition to his involvement in the music scene, Gibson gave voice to the history as he lived it—covering the Civil Rights Movement, interviewing Malcolm X, and conducting a man-on-the-street report from Detroit as it burned following Dr. King’s assassination. 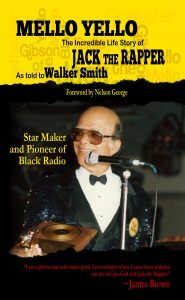 With the publication of his influential Black trade magazine called The Mello Yello, The Rapper established a forum for discussions and contributed to sweeping changes for African Americans in radio and the recording industry. But his most long-reaching achievement was his glittering “Family Affair”—an annual black music convention that provided a springboard for new talent. Each year, without fail, the heavy hitters of the music industry cleared their schedules to lend their talents to the Family Affair: Prince, Tina Turner, Nancy Wilson, Janet Jackson, James Brown, Whitney Houston, Eddie Murphy, Hammer, Toni Braxton, Sinbad, L.L. Cool J. And the list goes on like a “Who’s Who” of entertainment superstars.